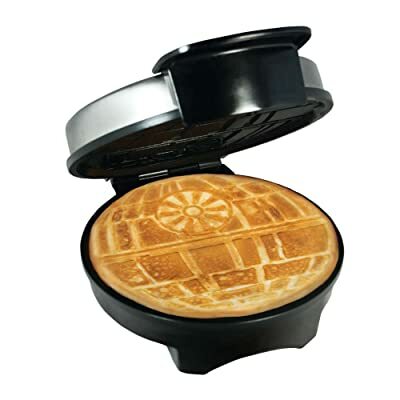 Nothing is more impressive and dreaded than that big round menace of Moff Tarkin, and now you can destroy it with butter and syrup-drenched waffles made to order. For me, it’s quite a toss-up. Do I want to eat the Death Star or Darth Vader’s head? How about both? You can get them both — or your favorite — and chomp down on Imperial waffles. It’s the #1 New Release in Waffle Irons right now on Amazon, so check them out before other fans get there first. Be sure to check out the Darth Vader Helmet Waffle Iron, too.